Oklahoma wide receiver Sterling Shepard and the the Sooners will square off Saturday against Texas in one of the nation's great college rivalries. Some games just feel different. The first game of any season is always exciting, regardless of the opponent, and if a team has a last-ditch effort to qualify for a bowl game, that obviously will ramp up the intensity and emotion, too. Rivalry games, on the other hand, are in a realm of their own. Teams that play each other year after year tend to build up a healthy dislike for each other, as do the fans of each team. Losses hurt that much more, while victories can make a season. When teams have similar talent levels on their rosters, the games can be close and usually are unpredictable. 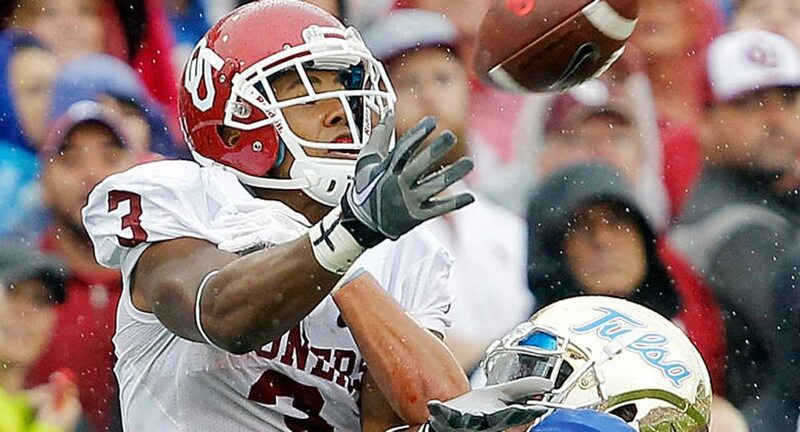 In college football, there are few, if any, rivalries that are bigger than Texas and Oklahoma. Army-Navy, Alabama-Auburn, Michigan-Ohio State, Oregon-Oregon State, USC-UCLA — so many schools have big games, but are any more steeped in tradition than Texas-Oklahoma? The Cotton Bowl gets so packed with loud, stomping fans that the building literally shakes, with the crowd split evenly between crimson and orange. Combine that with the sounds and smells of the Texas State Fair and the scene is unmatched. This season, many think the Sooners are in an ideal position. Off to a 4-0 start, Oklahoma should feature adequate quarterback play, a stellar running game and a much-improved defense.